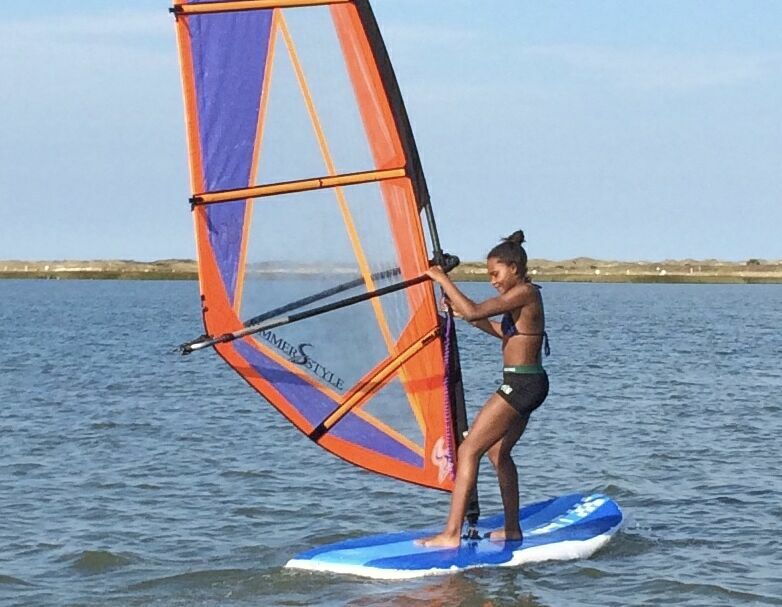 Our friends at Jacksonville University (JU) have been working on something special for some time now, and it’s time we shared it with the world: kids enrolled at JU can now take Windsurfing… for college credit! We caught up with Steven Davis, an Associate Professor of Education at JU and the instigator of that program (and of JU’s very successful sailing program many moons ago). 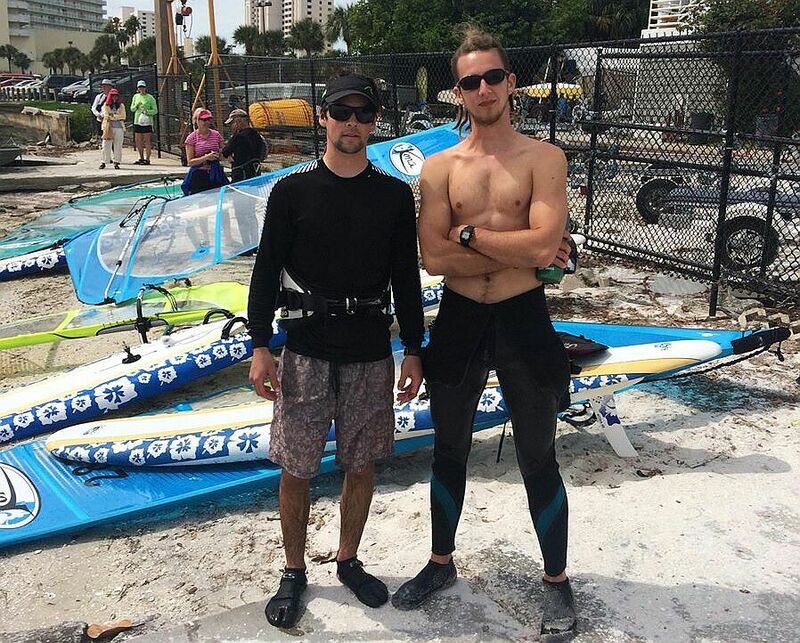 Two of his students, after months of practice and anticipation, attended their very first Kona regatta at the 2016 Clearwater Midwinters (and Kona North Americans) last weekend! My first Kona regatta was an exhausting yet thrilling experience. Being a member of the JU sailing team, I approached this last weekend with the mindset that competition would be tough and very focused windsurfers would be out there. Competition was tough, and winning wasn’t my goal, but what shocked me was the knowledge and respect people had towards me and others while on the race course. Nobody was yelling and protesting like we do in dinghy racing, but instead people were sharing advice to me and each other, and personally most meaningful was complimenting me in between races. The communication I am used to between competitors is usually very brief, maybe harsh words even, but this past weekend I probably talked with every person out there and enjoyed every word spoken. I also appreciated the wide age range of competitors: 11-77, I think? Which really meant to me that no matter what age or skill level, there are windsurfers out there that will accept you and be appreciative of the efforts you put in. This event made me realize the love I have for this sport! US Windsurfing: Steven, why start a college windsurfing program? Steven Davis: I’ve been around the sport a long time, and at every windsurfing event I’ve attended in recent years, I’ve seen good numbers of middle and high school age kids (sailing primarily Techno and RS:X), but very few who are in college or just out of college. There are still a high number of first generation windsurfers participating in windsurfing, and that’s fantastic, but that cannot sustain the sport in the long run. We lose too many of the kids coming out of high school and there are few programs out there that are producing windsurfers from the millennial generation. We set out to change that! USW: How did you get it all started at JU? SD: We resurrected a former surfing club, broadened the title to call it a Water Sports Club, and started recruiting at the fall student organizations fair. This can be done with a table set up in a highly visible and busy spot on campus, outside the main cafeteria on campus, or as a follow up to a big meeting with students where a table can be set up and announcements made about looking for members. On the signup sheet, we asked about interests in water sports. 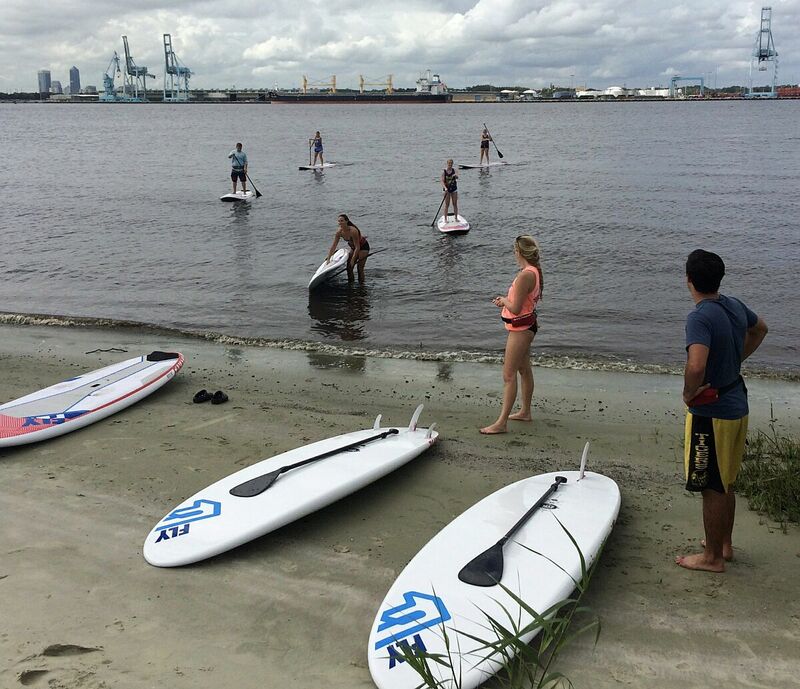 We do not cater to surfers, kiters, sailors, or even windsurfers alone with our new club – instead, we gathered groups of interested students who love water sports, found out what demand there was for lessons or clinics, and then conducted them. Just so happens the SUP demo worked like a charm and I had several kids who wanted to learn to windsurf after seeing me do it, but I was also happy to see that a few had indicated on the signup sheet that they had already tried windsurfing and wanted to pick it up again! USW: Were school administrators receptive? SD: Absolutely, but anything that involves students, funding, and liability means the trust factor needs to be addressed and solid for administrators before proposing to start a windsurfing program. You need a “faculty advisor” in most cases to make this work. A professor is ideal because they tend to stay at their institutions for a long time and are granted a lot of trust by virtue of their daily work. If you follow the protocols at the institution for how a club is supposed to work, and have a faculty advisor work with the students to meet those guidelines, a number of university resources can open up for you, like communications access, funding for club functions, funding for gear and equipment, etc. USW: What gear are you using? SD: I have bought garage stashes three or four times so I would have enough and started a few years ago collecting old but good stuff. You can’t make this idea work if you can only send out one kid on a board at-a-time! Some avid windsurfers and generous clubs have donated equipment as well. This was enough to seed the program, get kids on the water regularly and show administrators that we were serious about it. With their support, we ended up buying 8 Fanatic Fly paddle boards that work 3 ways–regular flat water SUP, paddle surfing, and windsurfing. That was appealing to the administrators since the boards would never sit idle. It was appealing to a lot of the kids who are already in the club and will never windsurf. It was appealing to the kids who want to learn to windsurf, so we had a ton of support for the purchase and it wasn’t just me saying it was a good idea. The kids also borrow my personal equipment! They’re training on my Kona all the time, so they’re familiar with it, and we’ll get more as we build the program. 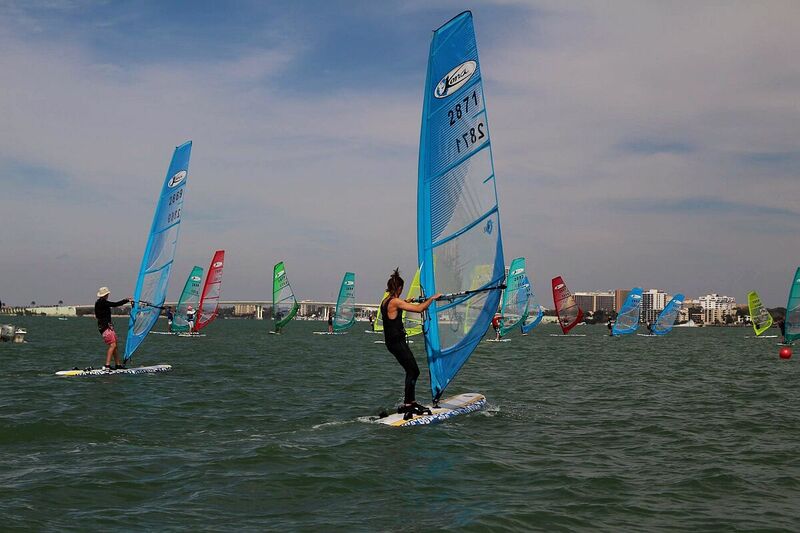 USW: Do you see windsurfing as a recruiting tool for JU? SD: For sure! The Techno and RS:X classes are very healthy around the world, and they draw many middle school and high school kids to windsurfing. But when those kids get to college, they have very few options to pursue their passion for the sport. Until now! We’re not the only ones to offer windsurfing in college, but the options are few and far between. If a kid sees that windsurfing is offered in college, that’s going to factor into his or her decision. But more importantly, we see our college windsurfing program as a recruiting tool for windsurfing! A chance to stay in the game if you’ve windsurfed before, and if you haven’t yet, a chance to pick up a sport that will stay with you your whole life! USW: Can people get in touch with you to learn from your experience and start a windsurfing program at their university? SD: Most definitely. We want to spread that stoke, and I’d like nothing more than to see more colleges start a windsurfing program. Think about it: we can compare notes on what works best, get together at key events around the country, arrange inter-club fun racing, secure better equipment deals, etc. [ndlr: you may leave a comment below, or reach Steven directly here]. I would first like to say that last weekend was some of the most fun I’ve had in a while! As a college sailor for Jacksonville University, I am used to competing for the top spot, which can result in stress, tension, and often times frustration. This regatta however, was a refreshing change from collegiate sailing. Instead of competing to win, I was competing to learn. The camaraderie I experienced this past weekend is something that’s tough to find in any other sport. Everyone helps everyone. In between races, the competitors would offer advice to their competition, and helpful tips for the next race. It was great to be a part of the Kona class. There was no pressure on us to win, and we could sail at our own pace. There was such a wide range of skill levels, and a diverse group of competitors, but everyone shared the same love for the sport! 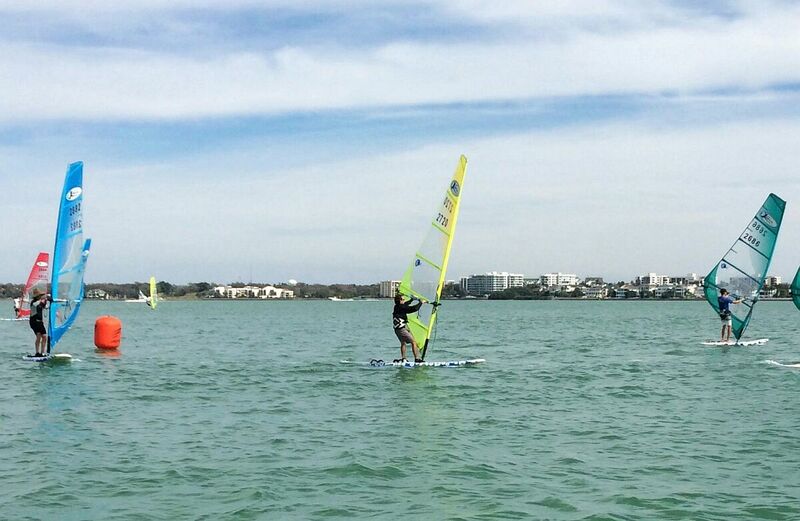 It was great to see everyone out there, windsurfing purely for the fun of it! Windsurfing is a sport I greatly respect, but more importantly, windsurfing offers a community I am thrilled to be a part of! Please let me know if I can volunteer help in any way – local, certified instructor in 1984, (JU class of 1991) a little rusty on new equipment, but very versed on the history and mechanics. Family of the inventor. Next story Formula Strong in Miami! Previous story Early Spring at Clearwater Midwinters!